Don’t worry; this isn’t a scam selling overnight cures for obesity or diabetes. But we do want to tell you about an unexpected way that healthcare providers across America are changing their practices to change their lifestyle. They are partnering with telemedicine companies to introduce the option of remote video visits. This change can have a bigger impact than you might imagine. What a lot of people don’t realize about visits conducted over HIPAA compliant, high-speed, telemedicine applications, is that they take less time than an in person visit. Patients tend to stay focused on the topic at hand. Video eliminates all of the administrative overhead. This approach gives providers the choice to boost revenue by seeing more patients in a day, or the option to scale back hours without a hit to the bottom line. You may even find a balance that lets you earn more and work less. In the traditional model of in-person encounters, static office hours make sense. You need administrative staff and the lights to be on in the building, so expanding hours is expensive. 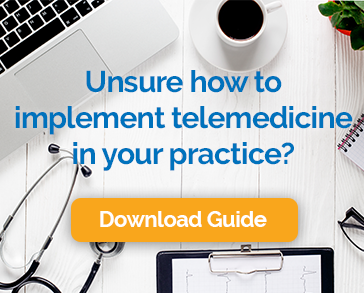 By partnering with a telemedicine company, you can throw 8 to 5 out the window if you want. Your patients will appreciate the increased flexibility, and you can tailor your workweek around your preferences. The capability to see patients remotely not only means you can work at any time. You can also work from anywhere. Many providers find that working from home a few days a week, or perhaps some mornings or evenings, gives them the flexibility to attend to family needs, reduces commute time and cost, and alleviates stress. This approach also makes it easier to travel or take vacation time. You can always jump on a video visit if something special comes up. Telemedicine companies are helping to change the face of modern medicine. If you like having more control of your time, making more money, and having the flexibility to work from wherever you happen to be, video visits are right up your alley.